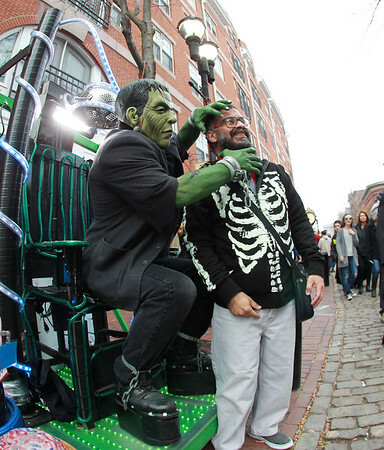 Frankenstein sat in a large chair in the Essex Street pedestrian mall to scare passersby on Friday afternoon. DAVID LE/Staff photo. 10/31/14.